I recently read an article titled, How BIM is Crushing the Art from Architecture and How to Stop It. In it, the authors, Louis Smith and Lisa Stacholy, make the argument that Building Information Modeling (BIM) is killing the ‘art’ of architecture. Their argument? Building something in BIM requires more time and resources up front in the schematic deign phase than in a more conventional projects that don’t utilize BIM software. This shift of resources up front minimizes design time and results in a less of artistic flare. While I agree from experience that more time and resources do get shifted to the front of a project, that doesn’t have to correlate to a static design. [More time shifted to the schematic phase of the project places] intense pressure on the architect to create a quick vision and an accompanying BIM model so that the other team members can begin their design and optimization processes. This sometimes begins not long after the program has been generated and sometimes before even spatial analysis is done. In some firms — perhaps even most firms — this results in whichever intern is most effective at using BIM software tools being assigned to generate a rectangular design that meets the program and adjacency requirements. This model is intended to be a placeholder while the design architect comes up with a vision. If an firms direction for an intern is ‘put it in a box’. There’s something wrong. We see the issue more along the lines that the profession is trying to use a conventional design process that is no longer relevant given our current technologies. Simply put, if more time is required in schematic design to come up with a design then more time and resources need to be allocated there. Hold design charettes to sift through all the ideas and come to something that makes sense. Schematic design is meant to be where artistic expression is explored is it not? A design architect shouldn’t be coming up with their artistic expression along the way. The design should be set, and agreed upon with the owner and then it should be refined through the later phases. 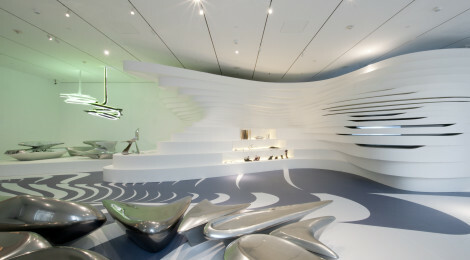 Look at Frank Ghery, SHoP, and Zaha Hadid. All three of those firms utilize BIM software in one form or another to aid in turning their designs into reality. 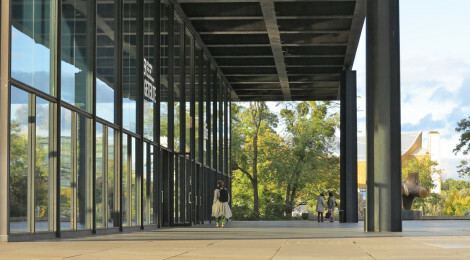 You’d find it hard pressing to define any of their buildings as box-like (although I see nothing wrong with a well designed box just look at Mies van der Rohe). Why have they been successful? Because they have talented people who understand the technology and intent of BIM and know how to use it. They don’t direct interns to ‘put it in a box’, and it shows. Lastly, this article brought to my attention 3 perspectives on BIM I’ve seen time and time again (the authors of this article falling into Tryers, Not buyers). I think it’s important to identify them so you’re not lead down the wrong path. BIM marketers have done a great job at pushing their products. I’ve met countless people who are totally on board and think BIM is god’s saving grace to the Architecture and Engineering (A&E) industry. What they look like: These tend to be upper management who only ever see BIM from a macro point of view. For these people we’ve developed a post called Revit Essentials: For Project Managers and Owners that puts everything into perspective for them. I’ve seen a lot of people try out BIM and quickly get frustrated that they can’t do what they want to do. Or they can… Just not as quickly as they can in their favorite CAD program. These people air on the side of, “if it’s not broke, don’t fix it”. What they look like: People who have been in the profession for awhile or just people set in their ways. What to be careful of: These people can be pretty convincing to turn your back on BIM because of their knowledge and experience. I think in the long run that BIM is better for the industry and it’s the future so don’t give up on it or you might risk being left behind. Experts are people who have taken the time to learn BIM and try to use thee software for its full potential. When an issue arises, an expert will spend the time trying to figure out a solution to the problem instead of a work around. If you find an expert who dislikes BIM, you let me know. What they look like: Since BIM is fairly new, experts tend to be fairly young, often teachers, or people dedicated to training employees in BIM or managing digital BIM libraries or projects. Hope this helps! Model that information! This is a bit of a touchy topic. Have your own thoughts? Leave a comment below!